Myers was educated a classicis, and a school inspector by profession, but spent most of his intellectual attention on the prospective discipline of psychical research. Disenchanted with Christianity and dissatisfied with the worldview of the scientific naturalists, he exhibited an intellectual yearning, at the same time scientific, religious and philosophical, which was not uncommon of his generation. Most of all, Myers wanted to find proof that something of the human psyche survived the death of the physical organism. According to one of his biographers, F. M. Turner (1974), the problem of death and immortality had haunted Myers since his childhood, when at the age of six he saw a mole crushed to death by a cart. Asking his mother what became of the poor mole now did not produce comfort, when she replied that the mole would never live again. “[T]he first horror of a death without resurrection rose in my bursting heart,” Myers recalled, 45 years later. Whether this childhood event primed him for things later to come or not, the fact remains that Myers’ life work was dedicated to the questions of immortality and survival. The quest brought him not only to observe theatrical mediums in half-lit seance rooms, but also into philosophical speculation and psychological theorizing. 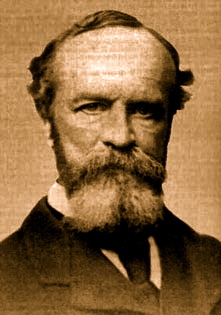 In the words of William James, it led him to produce an entirely romantic and “gothic” psychology. More specifically, it led him to produce the theory of the “Subliminal Self”. This concept, which was intended to encapsulate a full theory of the human psyche, was first suggested to the SPR in 1892. In broad strokes, the point was that “the stream of consciousness in which we habitually live is not the only consciousness which exists in connection with our organism”, and that this habitual consciousness is not even necessarily in any privileged position. Particularly, Myers distinguished between the supraliminal and the subliminal – a parallel to distinctions between the conscious and unconscious which had been developing for some time already, e.g. in the works of Janet, Charcot, and Freud. In Myers’ scheme, the supraliminal was our everyday waking consciousness, while everything which was subliminal – “below the border” – was unknown, part from sudden ruptures and irrationalities. Pioneering into the subliminal region and charting out its anatomy was Myers’ goal in psychology. In it, he found both a rubbish heap and a treasure trove. The “rubbish” of our evolutionary baggage, quirks instincts, irrational passions and behaviours which we have accumulated as a species and which from time to time emerge from our biological organism. The subliminal treasure, on the other hand, stemmed from a far more exalted source. Building on what was essentially a neoplatonic cosmology and anthropology, the continuum of personality, of interpenetrating layers of being, which Myers conceptualised, held room for a part of the psyche, the “soul”, belonging outside of terrene existence. Mixing neoplatonism with 19th century physics, Myers called this otherworldly place the “metetherial” existence, beyond the ether, the universal medium of energy which also mediated between the physical and extra-physical worlds. Myers’ quest in psychical research and abnormal psychology was thus to find traces of such “higher faculties”. Not surprisingly, he found them in the mediumistic phenomena of spiritualism. Telepathy, the ostensibly “extra-sensory” form of communication which Myers himself coined the term for (one of many neologisms for which he was responsible), was a favorite. 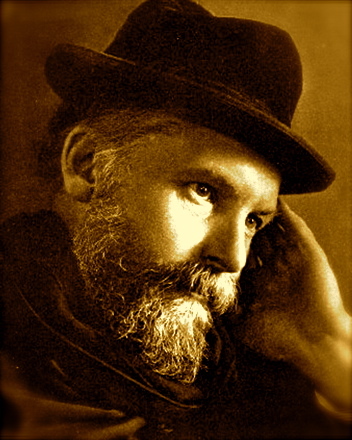 Myers’ main work was only published two years after his death, as Human Personality and Its Survival of Bodily Death (1903). This two volume book combined cases, notes, and essays written and collected over a couple decades of psychical research. It introduced Myers’ theories in full, his classification schemes and neologisms, and many commentaries on the direction of both science and religion. More than a century after these words were written, it feels safe to say that the honorable place was never obtained. As it turned out, however, the man writing the obituary has had a much stronger claim to that position. (For references, see: F. M. Turner, Between Science and Religion: The Reaction to Scientific Naturalism in England, Yale University Press, 1974; F. M. W. Myers, Human Personality and Its Survival of Bodily Death, 1903; W. James, “Frederic Myers’ Service to Psychology, Proceedings of the S.P.R. Vol. 17 (1901)).